The Black Diamond Mojo Chalk Bag is your classically designed chalk bag with added durability, guaranteed for everyday functionality from everything from boulders to big walls. 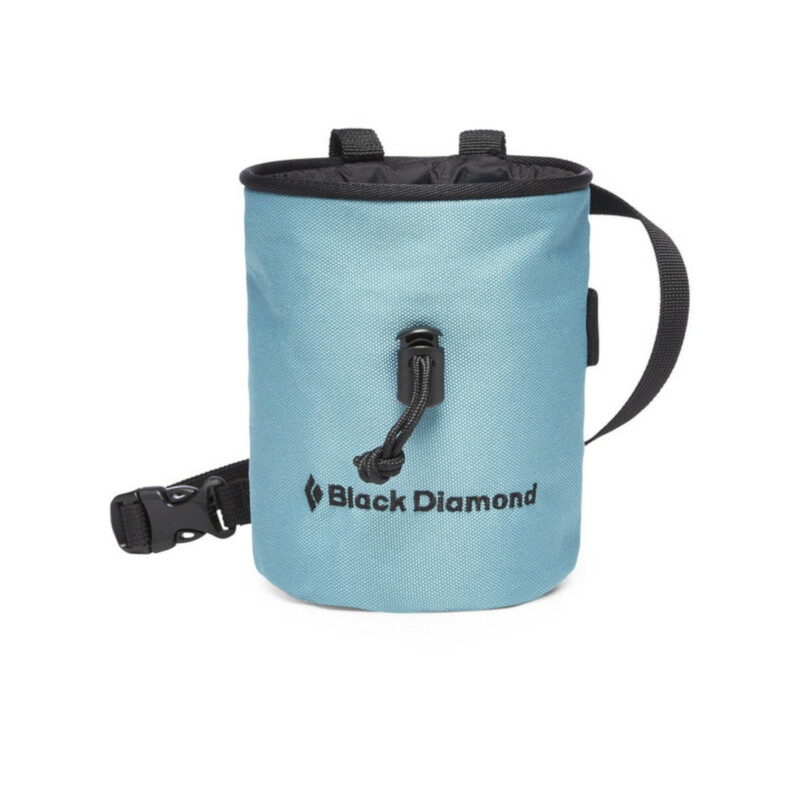 The Black Diamond Mojo Chalk Bag uses a pliable wire rim and a TPU lower for added abrasion-resistance and to increase its lifespan. Includes a webbing belt with quick-release buckle and a brush holder. Nice bag. Nice colours. Size s/m perfect for small hands. Great price. Arrived with a cracked cinch. I have a spare somewhere, so no big deal. Ideal in every way: a generous size; a draw-string closure that stops chalk escaping; a useful toothbrush holder. Iconic.